Fibre is an eΒential part of every herbivorous small pet's diet. Natural plant products such as hay are particularly good source. 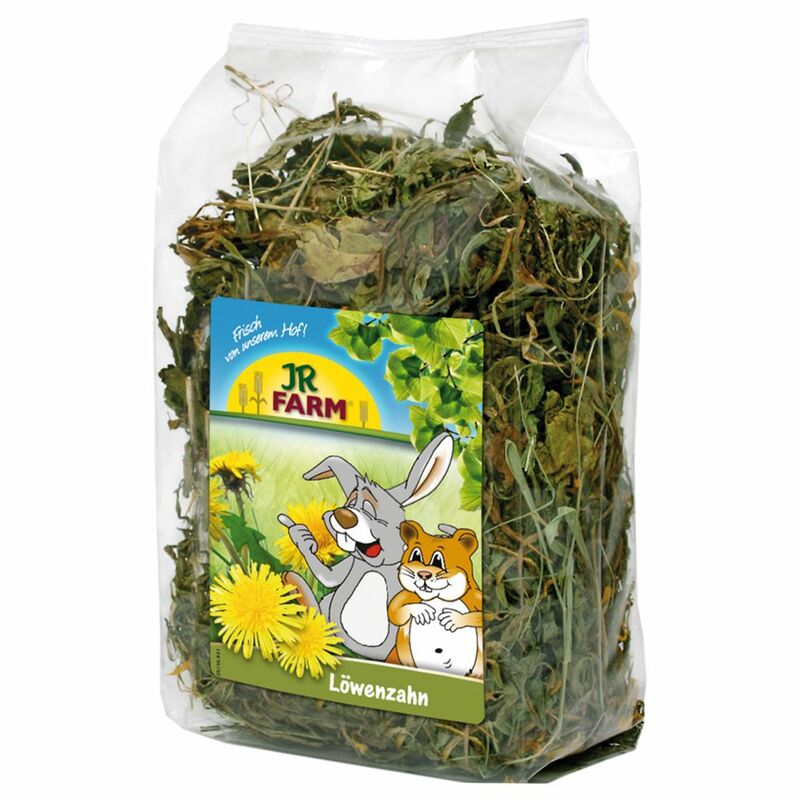 JR Farm offers tasty alternatives to hay, introducing some variety to your pet's daily diet. The Dandelion supports the immune system with its many vitamins, minerals and is always a popular snack for all small pets. The high fiber content ensures optimal digestion and thus enhances the well-being. Dandelion: rich in vitamins, with extra trace elements and minerals such as calcium and inulin.